This Modern Hotel built in 1990 was fully renovated in Spring 2008. Seven floors holds quiet and well equipped rooms. There is a large and bright lobby and breakfast room. Also available is a meeting room business room and garage. 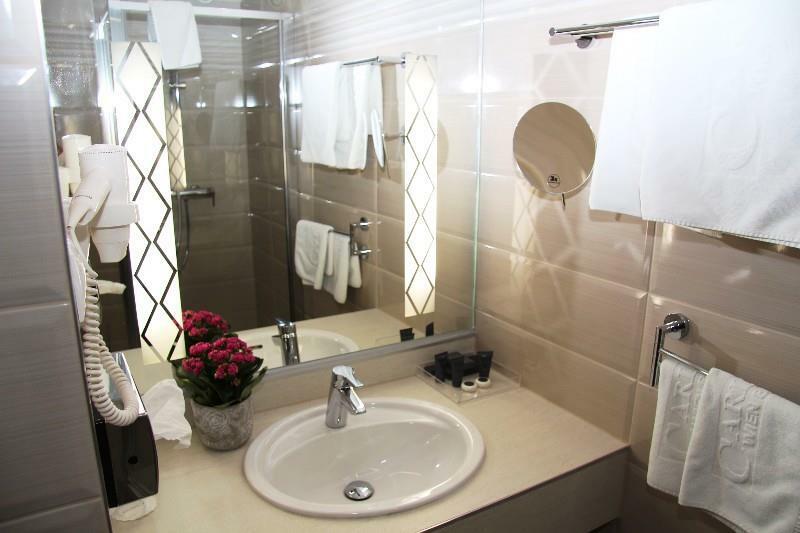 The Carlton Hotel Budpest offers 95 luxury category rooms with bath shower and WC minibar cable TV and direct-dial telephone.Full airconditioning room safety deposit boxes free WLAN kettles with free coffee and tea in the guest rooms. At the Carlton Hotel Budapest every day gets off to a great start with a sumptuous breakfast buffet in our bright and friendly restaurant. An ideal meeting point the hotel bar serves snacks as well as international drinks and cocktails. The hotel offers individually adaptable conference rooms with natural lighting and state-of-the-art equipment which are at your disposal for any conference banquet meeting and seminar. We look forward to being able to welcome you - and spoil you - in the near future at Budapest s Carlton Hotel. The Carlton Hotel Budapest is situated at the foot of the famous Fishermen s Bastion and the romantic castle quarter. It s also just a few steps away from the city s central business and shopping districts and the Chain Bridge. With its central yet quiet location it offers the very best in modern hotel comfort.